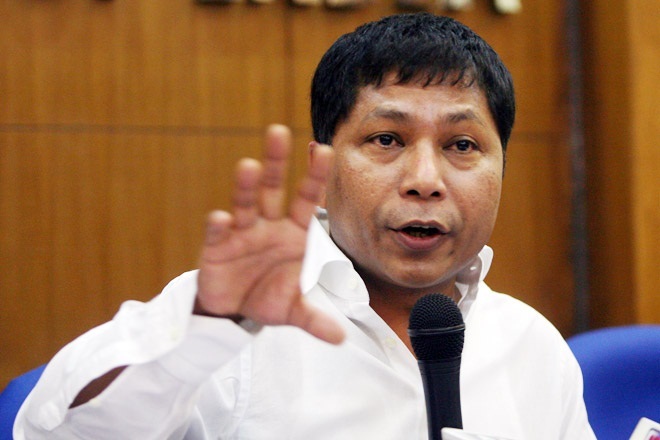 The Hynñiewtrep National Liberation Council (HNLC) on Monday hit back at former Meghalaya chief minister as well as opposition leader Mukul Sangma who had asked the MDA government to make its stand public on the proscribed outfit and said the latter is trying to derail the peace process. The HNLC leader said the Central government has been holding peace talks with several militant outfits in the northeastern region and the talks are progressing positively. “By doing so he is creating a negative impact into our minds and the GOI as well as the GOM,” Nongtraw added. The militant leader also reminded that it was during the tenure of Mukul Sangma that the outfit had first declared a unilateral ceasefire to ensure that the peace talks see the light of the day. “It was Dr Mukul who had assured us to appoint an Interlocutor for pursuing the formalities of peace talks, but nothing concrete happened and we were kept in the darkness,” he said. The militant leader also pointed out that the former Meghalaya CM was instrumental in bringing another militant outfit ANVC to the negotiating table and used them to win elections in the state. “Everyone in the state especially in Garo hills knows that how close was Dr Mukul to the former chairman of ANVC Dilash Mark and how he used them to win elections…..He had even helped the younger brother of the former Chairman ANVC to stand up for elections from Garo hills. During the congress regime even Deborah Marak had open links with the GNLA and had in fact taken their help during elections,” the statement said. “How can Dr Mukul forget that in the year 2013 former Chairman of the GNLA Champion Sangma openly declared support to the Congress party, this is a fact. Even the elimination of (L) Sohan D Shira was the handiwork of his team, because if Sohan was captured alive he would have spilled the beans,” he added.